The Trails Team has accomplished quite a bit in our short history. Aside from our Master Plan and Streetscape Plan we have succeeded in having a trail/walkway constructed along Sutton Road. 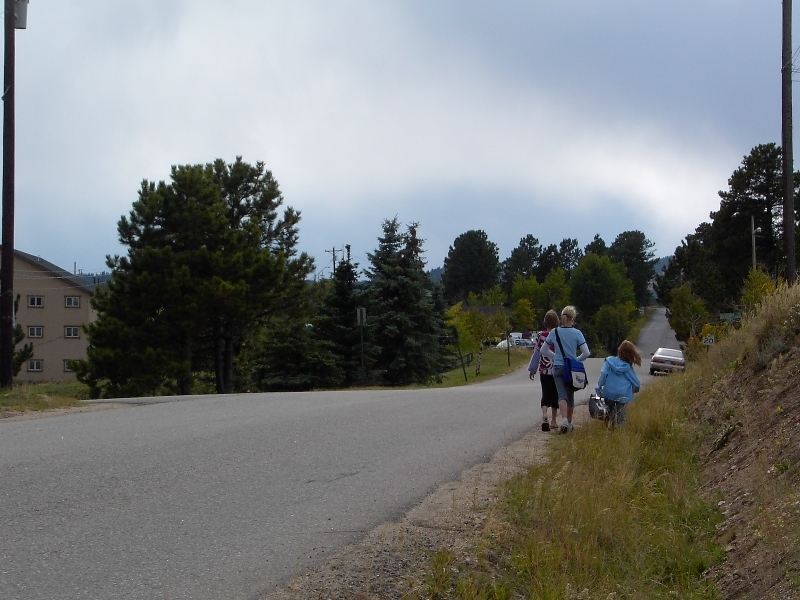 The Trails Team identified the alignment along Sutton Road between West Jefferson Elementary School and King Soopers as the first priority for a trail. This route forms the backbone of the core trail system and is used daily by walkers and school children getting to and from school. Before the trail, it posed a serious safety issue as walkers were forced to walk on street pavement or follow the drainage ditches. The project was funded by a grant from the Jefferson County Conservation Trust Fund. Construction began in the summer of 2010 and the trail was ready by December. Now, pedestrians and bicyclists have a safe, paved walkway to follow. 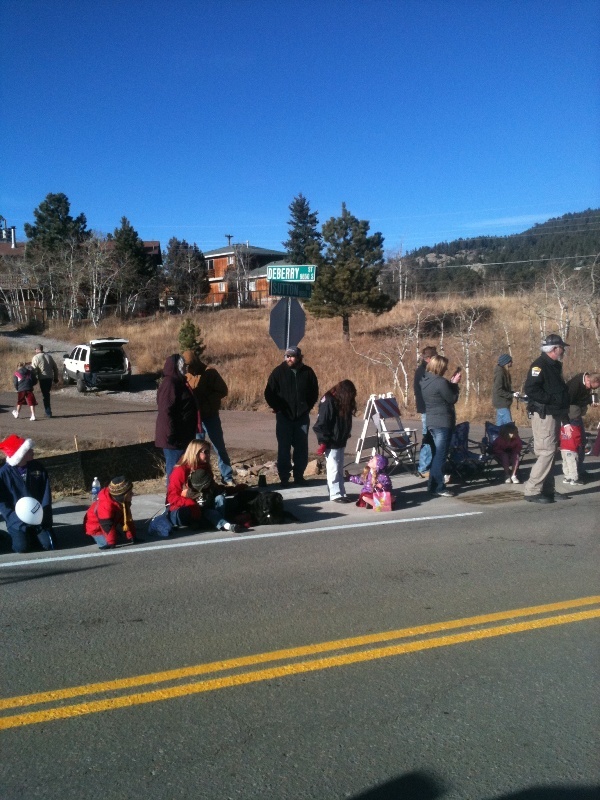 It was also well received at the 2010 Christmas Parade as a great place to watch the Holiday festivities. Conifer Area Council expresses gratitude to all who helped take this trail from a line on a map to a real trail.